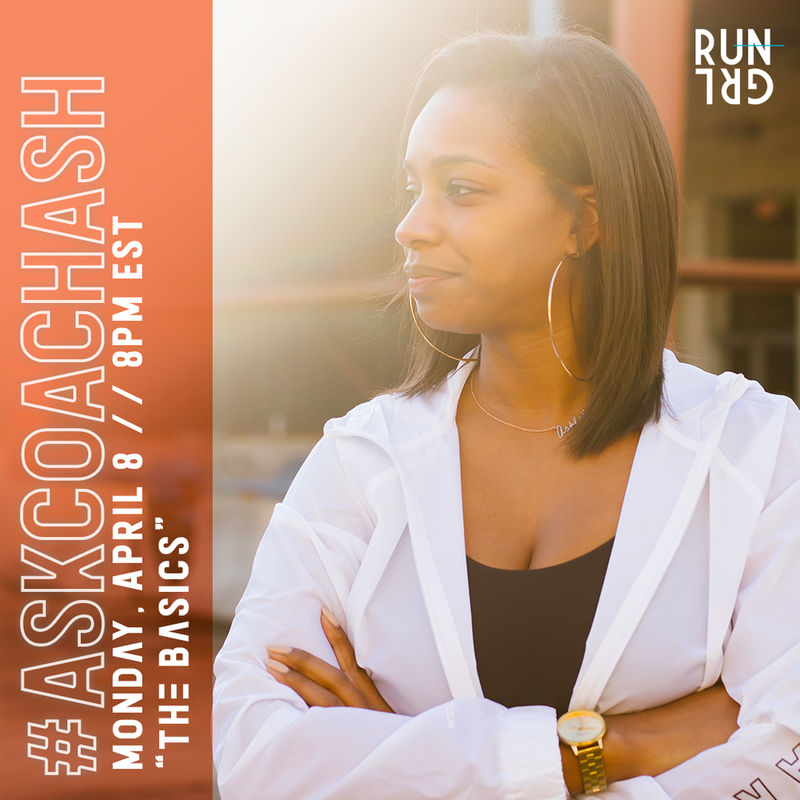 Introducing: #AskCoachAsh, A New Live Q&A Series by RUNGRL — RUNGRL Co.
There’s always something new to learn about running. Whether you’re a beginner with no idea where to start or an old pro looking to make tweaks and improvements, running is something you can never stop learning about. We know the information out there can be overwhelming, so we’re here to help! In these Instagram live Q&A sessions, Ashlee will help you learn about running terminology (”What’s a fartlek, anyway?”), injury prevention (“How many rest days should I include in my race training?”), and much more. Ashlee is passionate about helping people reach new levels in running and fitness. As an experienced runner herself, she knows about all the highs and lows that come with training for marathons, roughing it on mountain trail runs and even completing crazy desert relay races like The Speed Project. As a captain for District Running Collective in Washington, D.C., she leads runners of all levels and backgrounds to “redefine their impossible” with each run. Catch the very first #AskCoachAsh on Monday, April 8 at 8 pm EST on IG stories live! Follow us on Instagram @rungrlco to tune in to this Live session. You can get the latest news and updates, submit the running questions you’ve been dying to know the answers to, and see what we’ll be chatting about in this first live session.